Fido’s or Fluffy’s bad breath could be more than an odor problem; it might signify a serious health risk with the potential to damage not only the animal’s teeth and gums but its internal organs as well. AVMA President Dr. Mike Topper says regular dental exams are an integral and primary component of a pet’s overall health care, and can help prevent more serious health problems. “Oral disease is the most frequently diagnosed health problem for pets; it’s also entirely preventable,” said Dr. Topper. “Twice-a-year checkups, including an oral health checkup, are important to ensure your pet is not in pain and is not suffering from serious oral health problems. Besides causing receding gums and tooth loss, bacteria in the mouth can enter the bloodstream, potentially infecting the heart, liver and kidneys, which can be potentially life threatening. Routine cleanings can help prevent periodontal disease and save money in the long run. A 2014 analysis conducted by Veterinary Pet Insurance Co. showed that the average cost per pet to prevent dental disease is just one-third of the average cost of treating dental disease. More importantly, a complete oral examination can detect hidden health problems. Even if your pet’s breath smells fine, there still could be dental conditions that are hard to spot without a complete veterinary exam. In addition to professional dental care, Dr. Topper advises pet owners to make oral home care part of their pet’s routine as a way to prevent tooth decay. 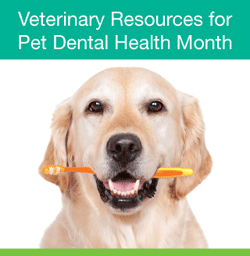 Veterinarians can help pet owners begin a pet dental care routine at home, and encourage them to continue regular veterinary checkups to monitor their pets’ oral health.